There is no greater symbol of love than a heart! 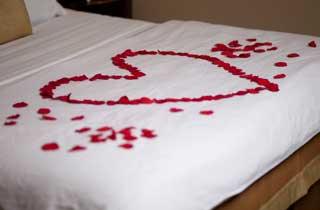 Why not display that symbol with silk rose petals in the shape of a heart on your bed? Simply. Romantic.